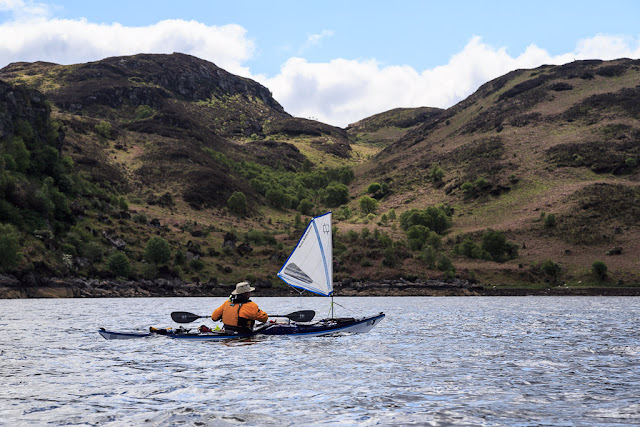 A quick blast down the Kyle to Rubha Dubh. 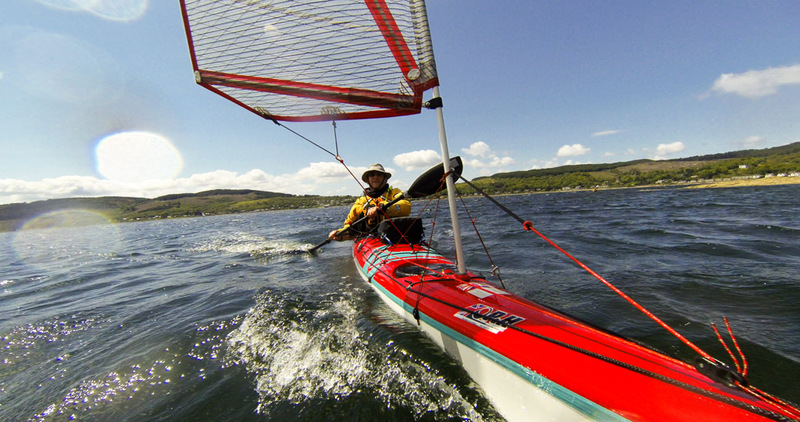 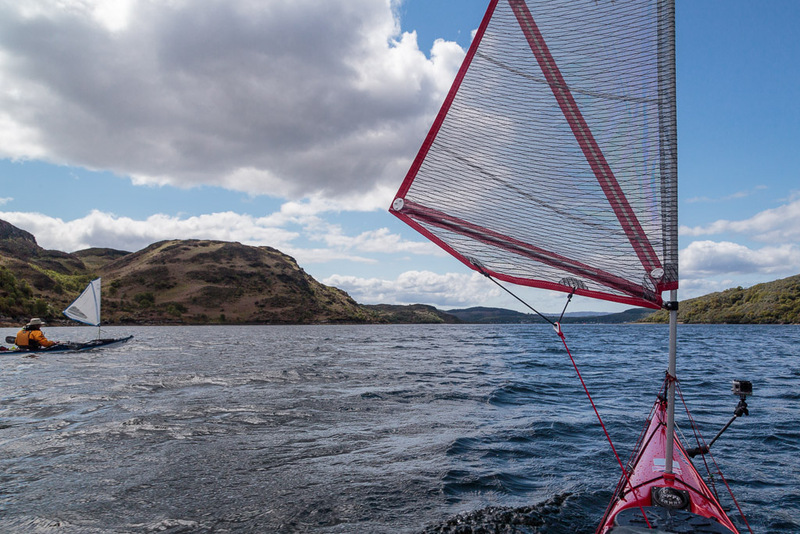 We enjoyed some excellent paddle sailing in the West Kyle of Bute. 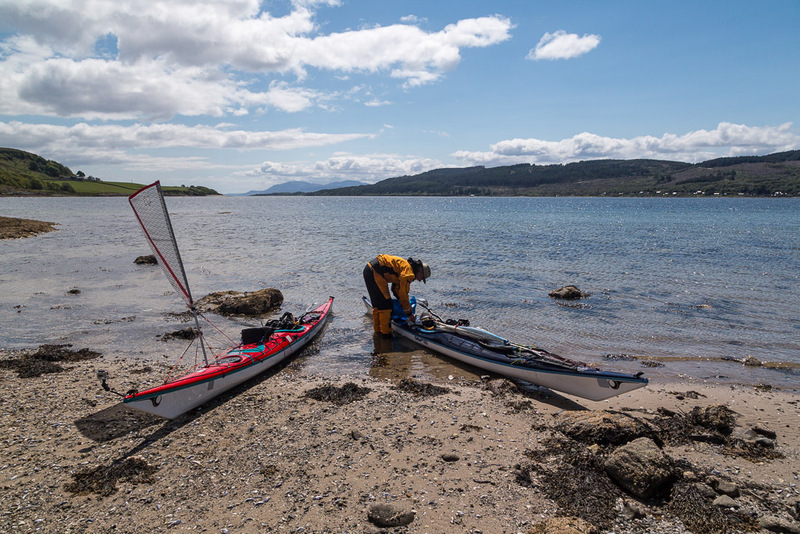 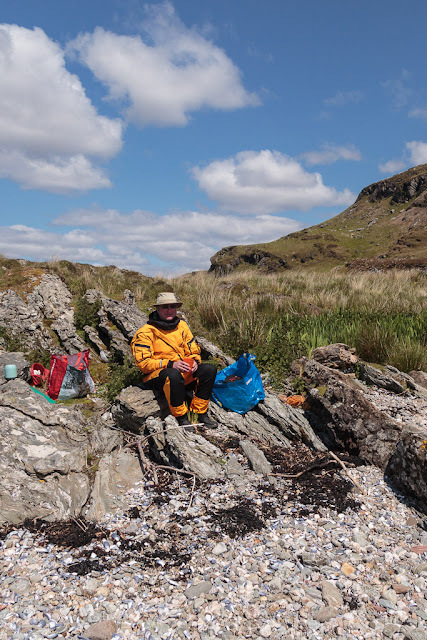 ..in the delightful sheltered south facing bay at Rubha Dubh on the Bute side of the Kyle. 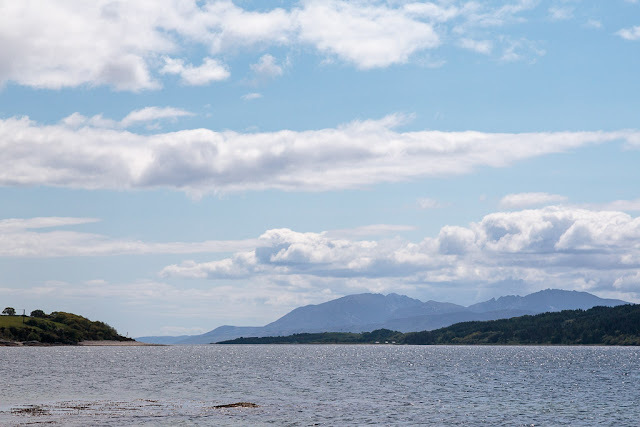 ...enjoy a great view to Ardlamont Point at the mouth of the West Kyle and the distant Arran mountains while clouds scudded across the blue sky.